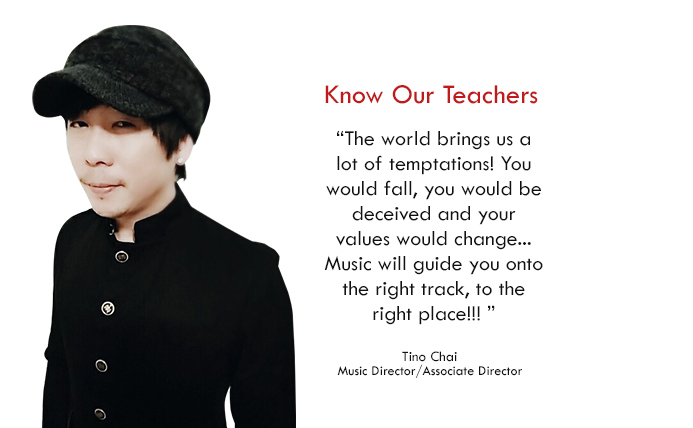 I joined Focus Music sometime in October 2010 & Jeff Taey became my very first, young vocal instructor. I used to sing in the old school manner. Jeff observed my vocal capability for some weeks. Thereafter, he assigned me to do a newer number. He wanted a change. I felt trapped but I saw his sincerity in changing me. I took that brave step and since then, it'd no turning back. Via Jeff, I learned better vocal manipulation, skills and technics. 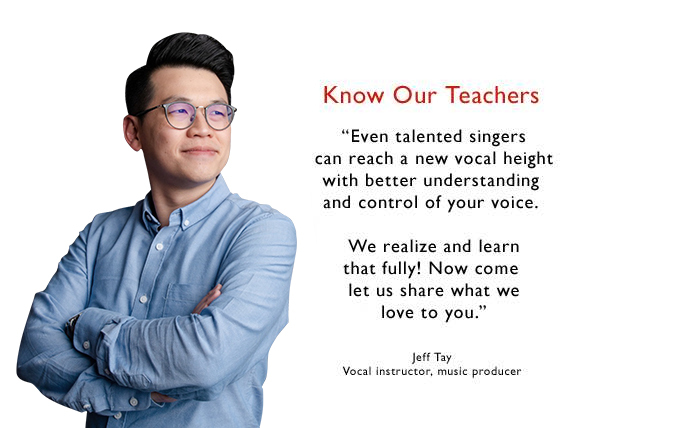 Through the years, Jeff remains my major vocal Laoshi and I enjoyed learning from him without any barrier whatsoever. Besides my weekly class, we now explore and make music together when time permits. My heart-felt gratitude and fervent thanks to Jeff. I also like to give thanks to Fang Laoshi who has seen me grow from zero to what I'm today. She encourages me to move onward & forward and together with Jeff, she is always there to cheer me on when I am competing. Focus Music is a school where I've enjoyed learning and it will always have a special place in my heart. Focus Music ... the root of my love in singing. Learning guitar is a tough course which needs a lot of time investment & practice. With work pressure and family commitments, there are times which i want to quit learning espacially during the moments when i'm not improving. Thank you Ah Tian Laoshi for accommodating on the lesson timing and patients in coaching. His positive energy made me learn more songs, enjoy playing guitar and play better. I have joined Focus Music since August 2015 and my singing skill has improved a lot! I realised that it is not about how famous the school is. It is about meeting the right teachers who are capable to teach the skills I have been longing to learn, see my goal and achieve it with me. They tailor the lesson to our needs. The ability to arrange remedial classes does not only bring flexibility to fit our busy schedules, it also exposes us to various vocal skills and technics when we are arranged to join different teachers' class as remedial. Come join us!"